After the great success of our 2.2 Chainlink, we are now following up that tire up with a new design on our 2.2 carcass, the Crosslink. The Crosslink features a symmetrical open tread pattern designed to break in quickly and provide unparalleled forward traction. This additional forward traction is perfect for today's high powered 1:10 buggies and allows a more aggressive steering setup without the worry of losing on-power control. The Crosslink has been designed for hard packed or blue groove, indoor and outdoor tracks. 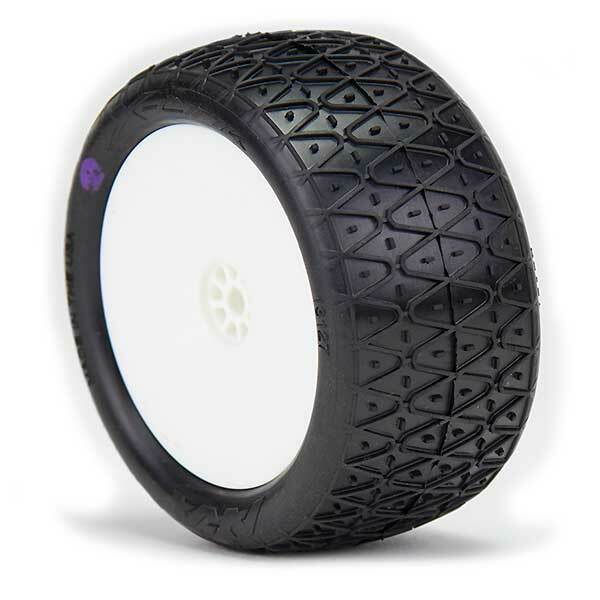 The pre-mounted tires are available in championship winning Clay compound mounted on 2.2" HEXlite wheels using AKA's industry leading red closed cell foam and Premium glue. As with all AKA tires, proudly designed and made in the USA.